Our staff is here to assist you with all of your hardscape needs. We carry an extensive inventory that includes products from Anchor, Belgard, Paveloc, Rosetta, Silver Creek, Unilock, and Versa-Lok, as well as installation materials and a huge selection of natural stone. 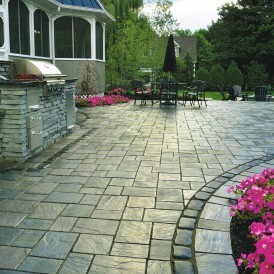 We have a huge variety of landscaping products. Don’t be limited by big box stores.